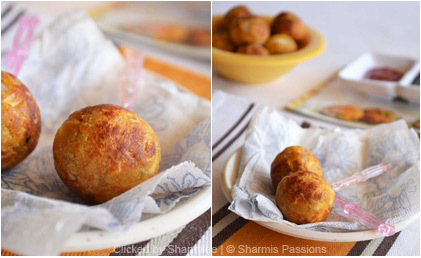 I have tasted paneer balls from Nilgiris and was wondering what ingredients went in to make these tasty balls. But I knew potato and panner were the main ingredients so gave a try and instantly loved it. Crumble the paneer well. Knead it for 5mins until well combined. 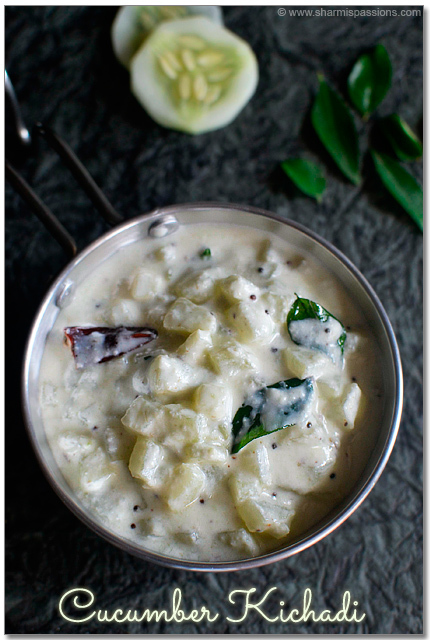 Boil potatoes until soft and combine with paneer,add required salt and keep aside. Cut the corner of the bread slices, sip it in water and add it to crumbled paneer . then add all the other ingredients except oil and combine to form a smooth dough just enough to roll into balls. It is a very easy and interesting snack/starter idea. I have seen this in nilgiris in the name of paneer balls. Alternatively you can dip the balls in maida water paste , them cover them with breadcrumbs as we do for veg cutlets and then deep fry or toast them. Those balls looks damn pretty and inviting..feel like grabbing some..
WOW..this is what I call moreish…absolutely delicious…lovely crust colour. Delicious balls,love the idea…luks very nice. Feel like gobbling them!! So tempting,nice tea time snack! 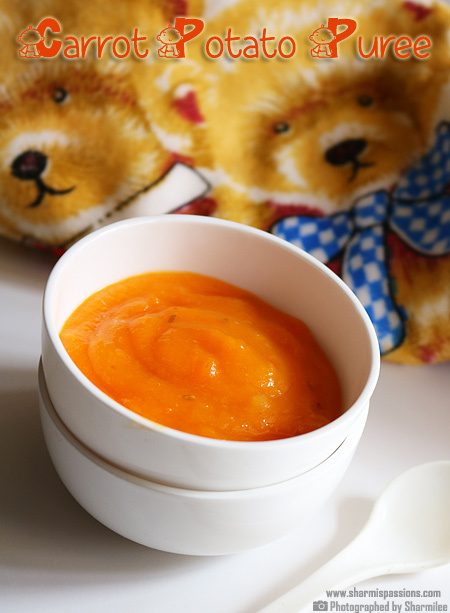 Lovely clicks too..
Thatz one cute n yummy tea time snack!! loved the second click!! 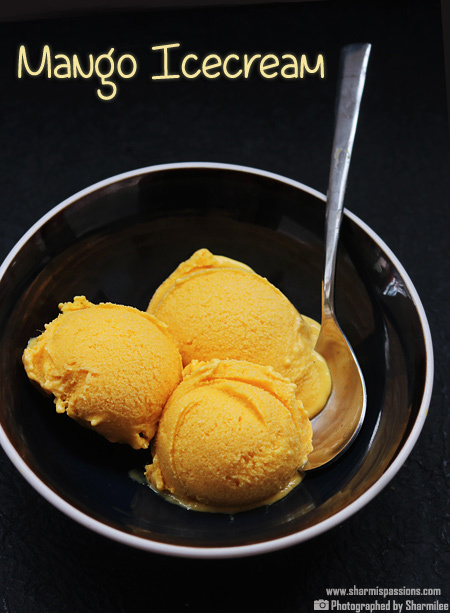 Cool Treat for anyone…. I m loving it!! Feel like grabbing them popping them in to my mouth>>.Awesome & delicious snack!! I have a lot of memories associated with that place, my good old college days, huh.. Wonderful appetizer,looks cute and super delicious. Great combo and looks tasty! 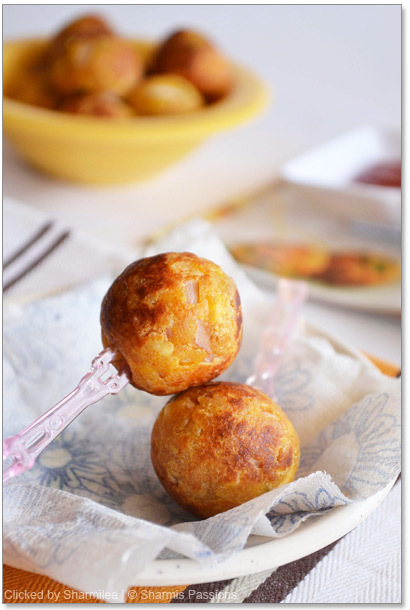 Yummy bread-paneer balls!! Easy to prepare and tasty too..
Looks crispy and cute! Nice tea time snack and great for kofta curry. They look awesome and I think they can also be used as koftas once dunked in a creamy gravy. Great snack. 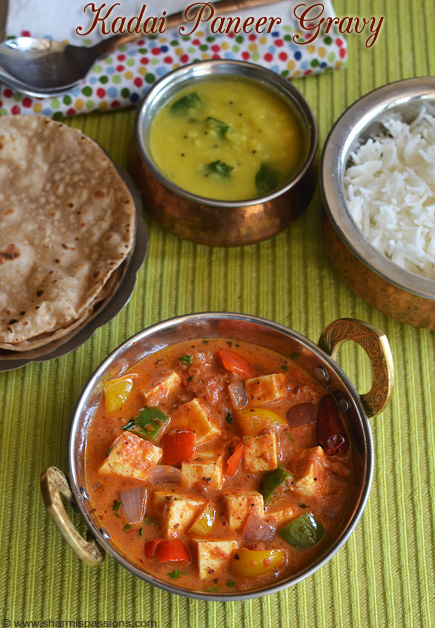 I love anything with paneer. OMG,where do u get these kind of idea.i a m ur crazy fan.love the balls. Looks delicious…I am very sure it must have tasted yum! Wow, this look awesome..feel like grabbing that bowl from the screen..truly delicious! Wonderful appetizer sharmi..looks absolutely yumm. 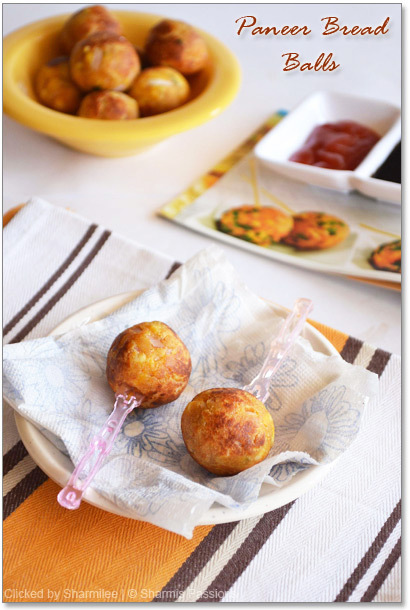 Paneer pops looks cute and the pictures are terrific. 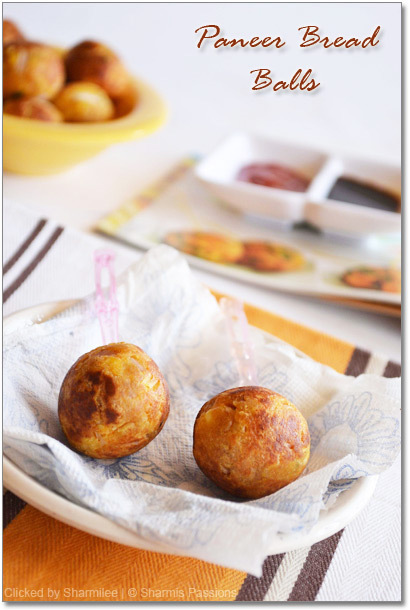 Yummy looking paneer balls.Nicely presented !! 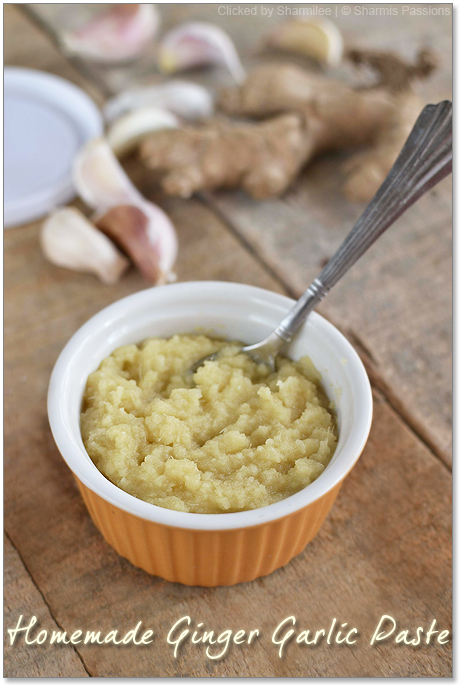 This is very new recipe looks great.your pictures are great and very good recipes!! Hi..i am new here…wonderful space…and what an innovative idea…I am tempted to try these…and awesome clicks…following you. its so yummy…. its a gr8 tea time snack…. the presentation of this dish was very colorful… the pitures are attracting to eat that… its a gr8 different dish…. I tried this one but when I started to fry them they started ti separate and form tiny chunks all around the oil.I was very upset.What to do any suggestions.Please do help me…………Thank you! @Nalini : The balls should be tight else it will seperate…dont have any other reasons to crumble….. This recipe yields around 15 bite sized balls, so calculate accordingly. Will Rawa help in forming a dough..Please add step wise pictures. I made this recipe at home and it tasted almost the same it looks here 🙂 Thanks a ton! Hi I tried this recently,I did it with the maida and bread crumbs but the balls dint stay in shape they broke when dropped in oil…don't know whats' my mistake. Can u help….. I tried these balls for a competition and I won 1st prize for it. Everyone just loved them and so did I. 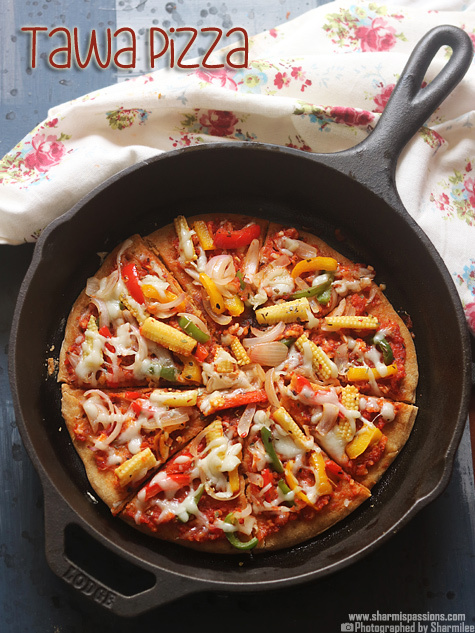 Thank you for this easy and quick yummy recipe. Hi, I have become your fan now . Have been following your recipes for my young kids 4 and 6. they seem to love it! thank you so much .